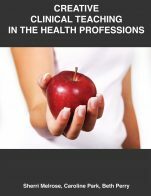 This open educational resource (OER) was developed to ensure best practice and quality care based on the latest evidence, and to address inconsistencies in how clinical health care skills are taught and practised in the clinical setting. The checklist approach, used in this textbook, aims to provide standardized processes for clinical skills and to help nursing schools and clinical practice partners keep procedural practice current. 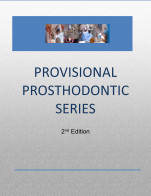 Each skill/procedure is covered in a chapter that has learning objectives, a brief overview of the relevant theory, checklists of steps for procedures with the rationale behind each step of the process, and a summary of key takeaways. Key terms are set in bold throughout the book and laid out again in a Glossary in the appendix. All 88 checklists are also summarized, and hyperlinked to the original checklist, in the appendix. 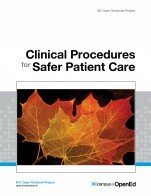 Clinical Procedures for Safer Patient Care by Glynda Rees Doyle, British Columbia Institute of Technology, Jodie Anita McCutcheon, British Columbia Institute of Technology is licensed under a Creative Commons Attribution 4.0 International License, except where otherwise noted. The text provides an effective and comprehensive index, glossary, and a summary of the checklists used throughout the document. Subject areas are covered comprehensively and are written in to facilitate ease of understanding, link to practical use, and the authors provide critical thinking exercises to help consolidate learning. 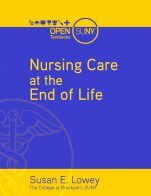 Content is accurate and the authors have made disclaimer statements about the need for nurses and student nurses to apply their own hospital policies and procedures to each topic to ensure the information is not used inappropriately. Content is cited from timely and appropriate sources. Updates will be easy to implement. 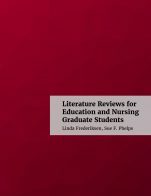 Nursing knowledge is always changing and evolving to ensure best practice, and in that way, this text is like any other nursing text in that it will need to be reviewed for updates on a schedule. The latest information is being utilized. Very readable with the "jargon" described well to facilitate application of medical terminology to patient care. The text is designed so that each section and each checklist can be used for that teaching topic. Very useable design. Images are helpful to the respective topics. Ensure all links are working, I had some challenges navigating all of the videos and links that were supposed to be a click away. It did not present as culturally insensitive, however, there was a lack of information about skin assessment of different skin colors. This OER would be excellent for student nurses to have as additional support to their learning and the checklist style is very student friendly, and backed by research! Well done.